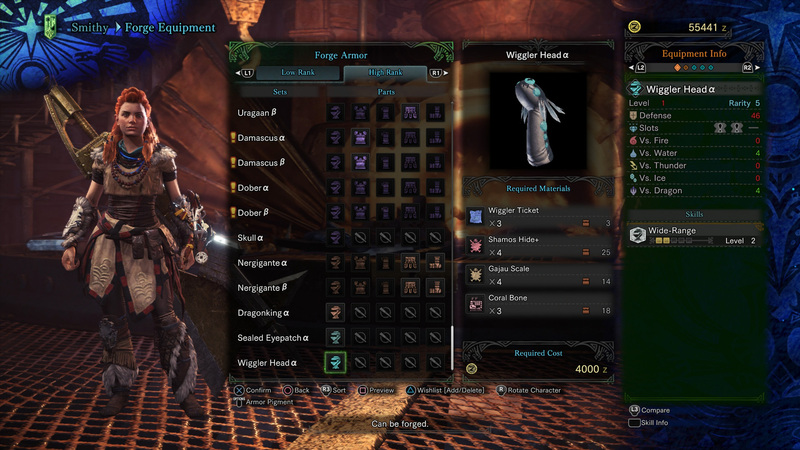 Complete the Wiggle Me This quest in Monster Hunter: World for some unique armor. Credit to Capcom, because Monster Hunter: World is succeeding in the places that Destiny 2 is not and giving me a reason to log in each day. The search for epic loot is a real thing. Today it’s the Wiggler Head, although I probably won’t be wearing it except to help you complete the Wiggle Me This quest. Wiggle Me This is a six-star quest that you can find under the Events section of the quest board. It will take you to the Coral Highlands and ask you to deliver 10 Wigglers. These are the cute little things that stick out of the ground, then quickly retreat inside their holes when you get close and spook them. Spawn in at the Southern Camp in Region 1 of Coral Highlands. You’ll want to jump off the cliff there and land on the ground below. All around you will be pockets of Wigglers, but they can be tough to catch if you just run up to them causing a fracas. To make the Wiggle Me This quest easier, equip your Ghillie Mantle and then your Net. This will allow you to run straight up to Wigglers, targeting as many as you can at one time, and capturing them. Once you deploy your Net, however, the remaining Wigglers nearby will hide, so you’ll have to find more. Luckily, there are about three groups of Wigglers directly below the Southern Camp. Just run from one to the next trapping Wigglers, and then keep rotating back to where you started. 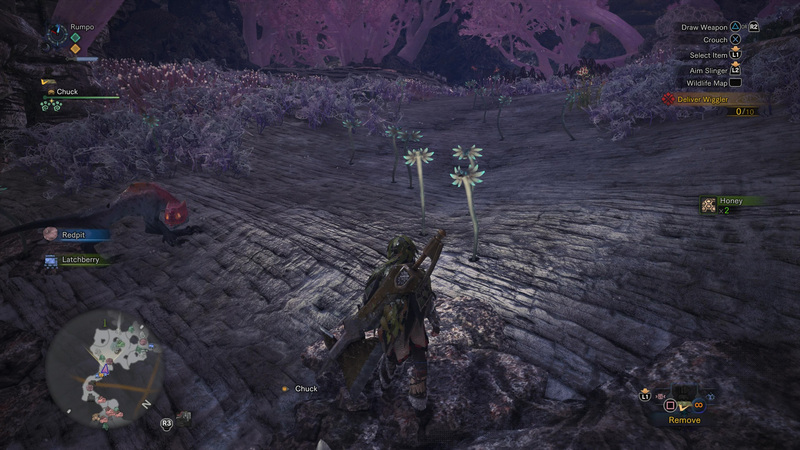 Wigglers will come back out of hiding after only a few moments and a bit of distance from you. 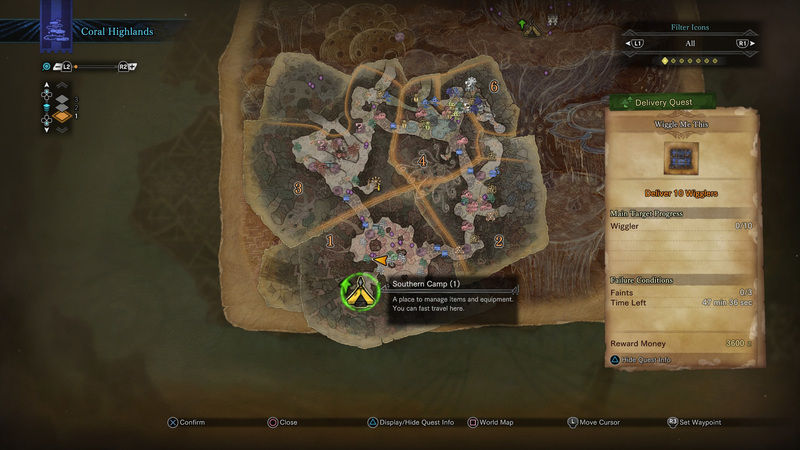 Once you have the 10 Wigglers you require, the quest will complete, and you can choose to go back to the Southern Camp, or straight to Astera. 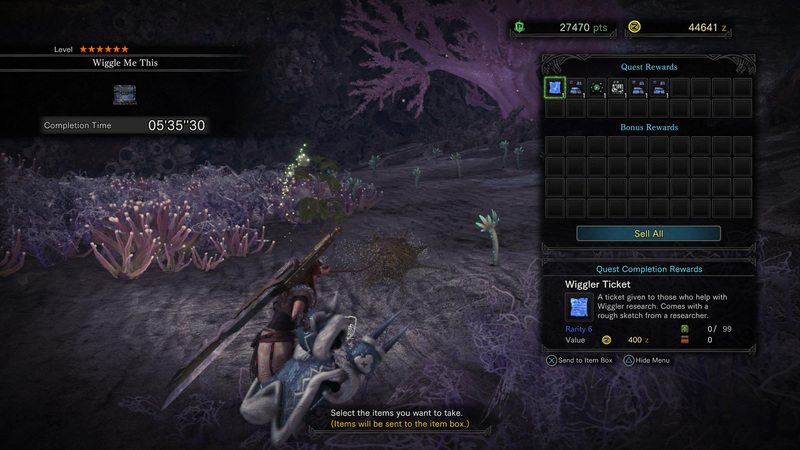 In your Quest Rewards screen, you will notice that you were given a Wiggler Ticket. I was only ever able to get one per quest, so you’ll need to complete the quest three times to get the three you require to build the Wiggler Head. You could try using a Lucky Voucher, but it seems like a waste since this quest is among the simplest in all of Monster Hunter: World. When you’ve completed the quest three times, head to the smithy and choose the option to forge new armor. At the very bottom of the list will be the Wiggler Head. There are a few crafting components required beyond the Wiggler Ticket, but none of them are hard to come by. 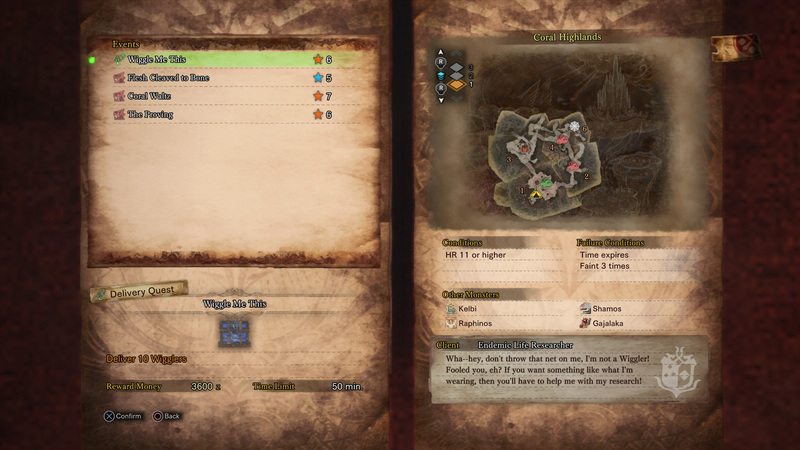 Perhaps the most difficult is the Shamos Hide+ only because it requires you to partake in high rank quests, although Wiggle Me This is also a high rank quest, so you should be fine. Once you complete Wiggle Me This and craft the Wiggler Head, try it on for a few laughs, then immediately take it off and put it in a box that you’ll never open again. I find it slightly immersion breaking, but it’s fun enough for a few minutes. I quickly returned to my Horizon Zero Dawn armor and Aloy’s Bow, but you can choose any of the items we’ve helped you find in our Monster Hunter: World guide collection.